The Speaker has informed parliament that Supreme Court has informed that several clauses in the draft of the proposed Inland Revenue Act are not compatible with the Constitution. This was announced by the Speaker today (4th) morning. As such the Act has to be approved by a special majority in Parliament or the relevant clauses should be removed from the proposed act is the recommendation of Supreme Court. 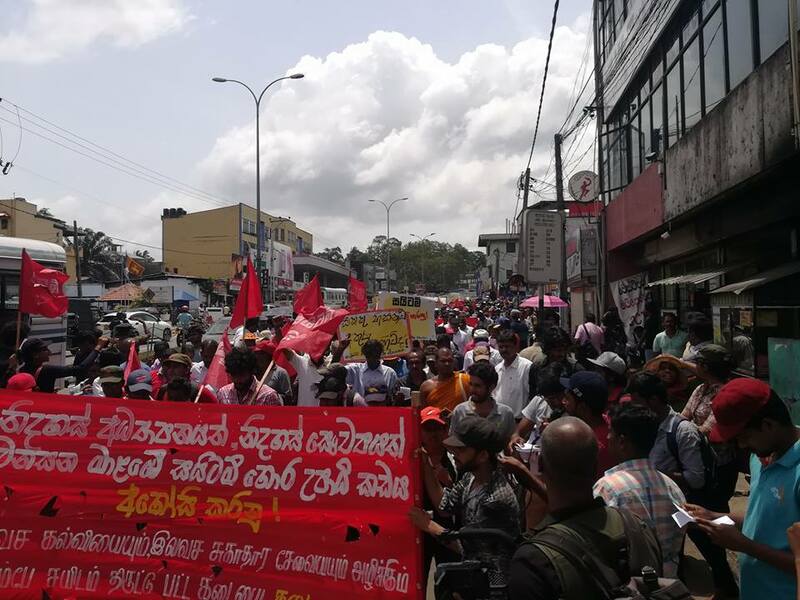 The protest march organized by Anti-SAITM Students’ & People’s Movement that commenced from the University of Peradeniya is scheduled to reach Colombo today (4th). 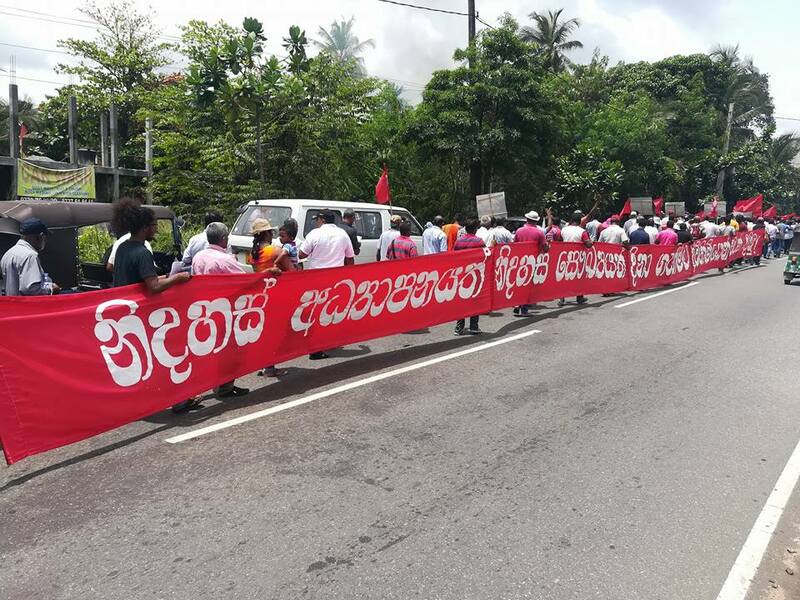 Despite police had sought a prohibition order against the protest march from Fort Magistrates Court, the protestors have been allowed to carry out the march without any hindrance to the public. 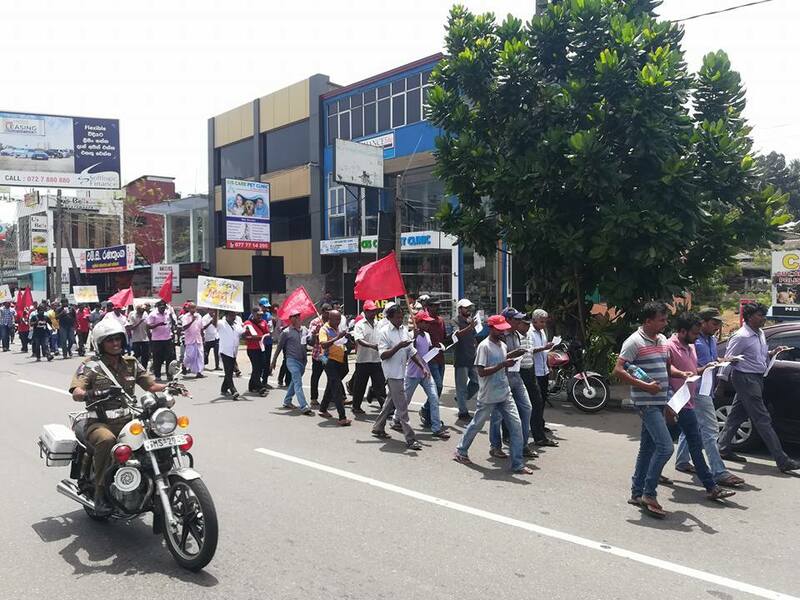 The protest march began its final round from Kadawatha today morning and a rally will be held after they reach Colombo. 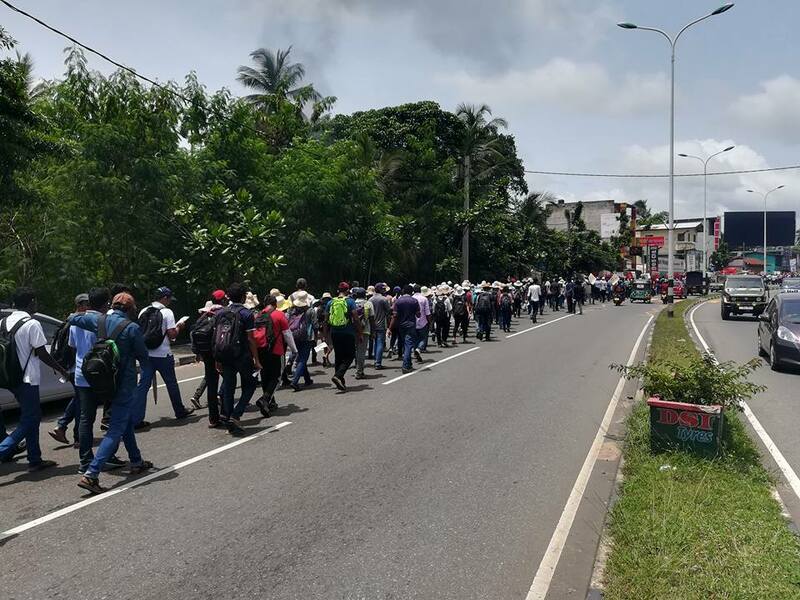 University students including Medical students, trade union leaders and other organizations including political parties are participating in the protest march and the rally. Lt. Prasad Chandanakumara Hettiarachchi of Sri Lanka Navy who is warranted by Colombo Fort Magistrates Court in connection with the incident in which 11 youths including 5 school children were made to disappear has disappeared says his wife in a complaint to Wellampitiya Police. The wife of the Navy lieutenant Chathurika Nadeeshani Weerawickreme in her complaint states her husband did not return home after work. The Navy lieutenant has also been warranted to be arrested immediately in connection with the murder of Jaffna District Parliamentarian and Lawyer Nadarajah Raviraj. The Minister of Highways and Higher Education Lakshman Kiriella has acted illegally on behalf of SAITM, the institute at Malabe that sells medical degrees, stated President’s Counsel Manohara de Silva, Counsel appearing for Sri Lanka Medical Council making submissions at Supreme Court yesterday (3rd). The Counsel told Court that SAITM has not fulfilled requirements to be accepted as a degree awarding institute. President’s Counsel Manohara de Silva made these submissions at the hearing of the appeal by SLMC challenging the judgment of Court of Appeal to register a student of SAITM provisionally as a medical practitioner in terms of section 29(2) of the Medical Ordinance. He pointed out that recommendations should be obtained from an authorized official regarding degree awarding institutes according to clause 25 of the University grants Act and according to clause 70 of the Act, the authorized officials have been named. He said according to the clause the Chairman of the UGC or the Secretary to the Ministry of Higher Education has been given this authority. However, past records indicate that SAITM has not been given such recommendation or an approval and declaring SAITM as a degree awarding institute is illegal and the Minister of Higher Education has committed an illegal act by declaring SAITM as a degree awarding institute said President’s Counsel Manohara de Silva. The appeal by SLMC will be further considered today (4th).